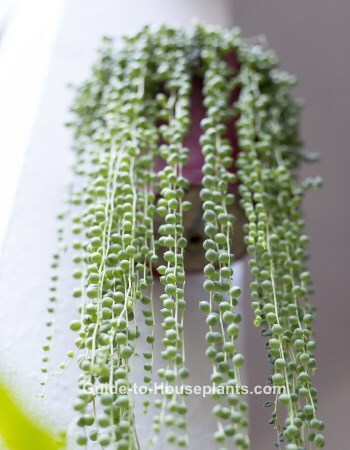 String of Pearls plant looks just as it sounds, with round, succulent leaves carried down long, slender stems. They look more like peas than pearls, but this succulent is definitely a gem. Pot your String of Pearls succulent plant in a hanging basket to show off its trailing strands of bead-like leaves. Plant several young plants together for a full, attractive display. String of Pearls has such unlikely relatives as Cineraria, with broad green foliage and bright, daisy-like flowers...and German Ivy, a trailing plant with lobed ivy-shaped leaves. Although the Senecio genus includes more than 1,000 species of leafy annuals, perennials, succulents and shrubs, what many have in common are rayed flowerheads. Make it bloom. Give your String of Pearls plant a cool (55-60°F/13-16°C) rest in winter. Cut back on watering during the winter months, but don't allow the potting mix to dry out completely. These cool, dry conditions may promote blooming in spring. 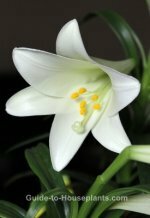 And the flowers are spectacular -- clusters of small, white trumpet-shaped flowers studded with colorful stamens. You'll find String of Pearls for sale at online nurseries. This succulent grows quickly, so you can buy a small plant. Water: Keep your String of Pearls plant lightly moist during the growing season (spring through fall). Cut back on water in winter, watering just enough to prevent the soil from drying out. Beads that look flat are a sign that the soil is too dry. Give it a good drink, but take care not to overwater. This succulent will not tolerate soggy soil. Temperature: Warm spring through fall (70-80°F/21-27°C). In winter, cool (55-60°F/13-16°C). Want to move String of Pearls outdoors for the warm months? It can take the heat, but keep it shaded from the hot midday sun in summer. Soil: Cactus potting mix. 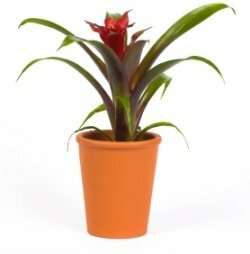 If you want to mix your own, use 3 parts good quality potting soil and 1 part sharp sand. Fertilizer: Feed once a month spring through fall with a balanced liquid fertilizer diluted by half. Propagation: Take 4 in (10 cm) stem tip cuttings in spring or summer and insert them in moist potting medium. Press them into the potting mix until the leaves are almost covered. Keep the medium lightly moist. They will root quickly from the axils where the leaves are attached to the stem.